The Appleby flower basket is a high-quality florist that offers a premium service for all your floral needs. Our highly trained and professional florists can provide the full range of quality floral designs from an elegant presentation piece for a prestigious event through to a simple bunch of flowers to convey that special message. For over 100 years the Appleby Flower Basket has provided high quality flowers and service to our customers. Based in the beautiful Eden valley, we combine the best of local suppliers with an impressive range of internationally sourced produce. This enables us to offer you the widest variety of flowers in the region. Same Day Delivery within the Eden Valley. 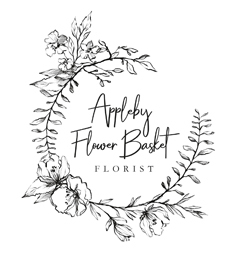 Appleby Flower Basket is a high-quality florist based in the beautiful Eden valley for over 100 years. We provide high quality flowers and service to our customers. Our highly trained and professional florists can provide the full range of quality floral designs from an elegant presentation piece for a prestigious event through to a simple bunch of flowers to convey that special message.